Virgin Galactic's founder Richard Branson has announced that the company will be offering flights into space in a matter of weeks. Richard Branson announced in a recent interview that Virgin Galactic is about to make its first trip into space in the weeks to come. “We should be in space within weeks, not months. And then we will be in space with myself in months and not years,” were the words of billionaire entrepreneur Richard Branson in an interview with CNBC at the Barclays Asia Forum in Singapore. Branson was referring to the Virgin Galactic spaceship being developed by the company for future commercial trips into space. “We will be in space with people not too long after that, so we have got a very, very exciting couple of months ahead,” the British Virgin founder and CEO went on to say. Virgin Galactic is currently in a tight race with Jeff Bezos-owned Blue Origin to launch the first space passenger flight which will bring paying passengers within the boundaries of Earth’s atmosphere and space known as the Karman line. To reach the Karman line, a spaceship has to cruise at an altitude of 100 kilometers above sea level. At this height, the curvature or Earth is clearly visible. 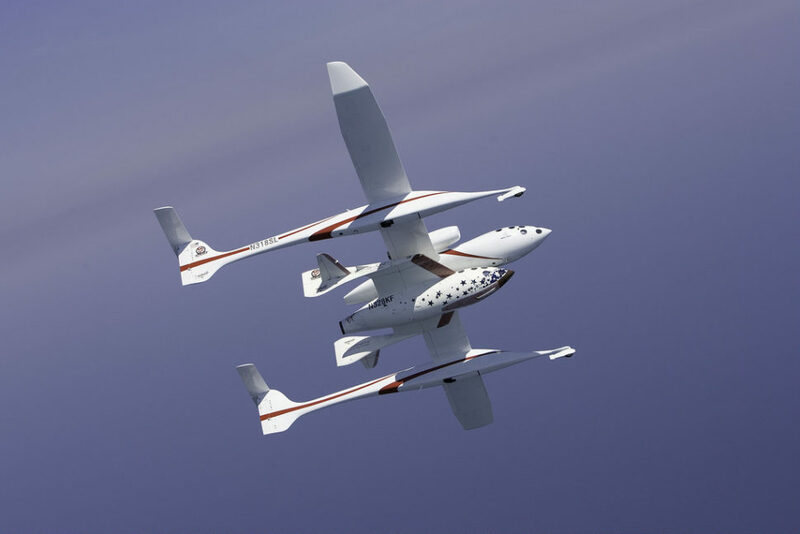 Branson’s pursuit of commercializing space travel began in 2004 when he founded Virgin Galactic. Since then, the company has already enlisted around 800 passengers who paid $250,000 USD each for a return ticket on the Virgin Galactic. Branson and his space company have continuously been conducting space flight tests these past years. Recent test flights have reportedly been successful with the space crafts reaching Mach 2 speeds which are about twice the speed of sound. However, it’s not always been the case. Back in 2014, an early version of the Virgin Galactic spaceship crashed in the Mojave Desert and killed one of the co-pilots. Unlike SpaceX and Blue Origin’s spaceships that will require rockets to be launched, Branson’s spacecraft will be released into space by a plane known as VSS Unity. Once released, the vessel will propel itself higher into space before returning to Earth. Once Virgin Galactic successfully establish its commercial trips to space, Branson plans to reduce the price of the ticket to around $40,000 USD in the next ten years or so. If you have $250,000 USD to spare, will you buy a roundtrip ticket to space?